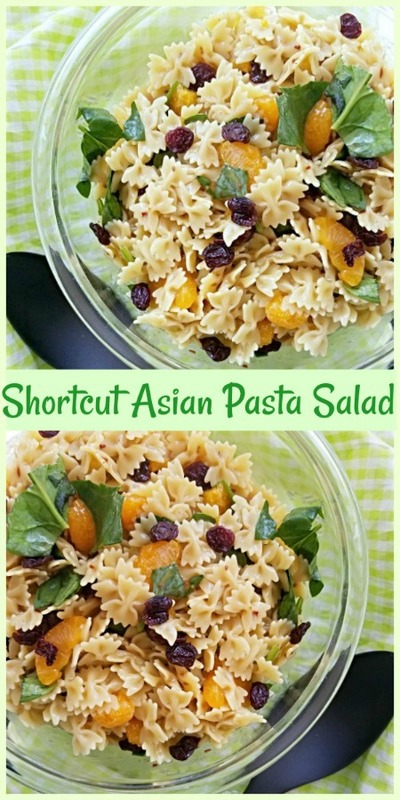 Shortcut Asian Pasta Salad – For a quick and easy Asian pasta salad that everyone is sure to adore, stop right here and check this one out. Tastes so delicious and perfect for any occasion. Enjoy! We love pasta anything in my house. Any kind of pasta is fine with them. 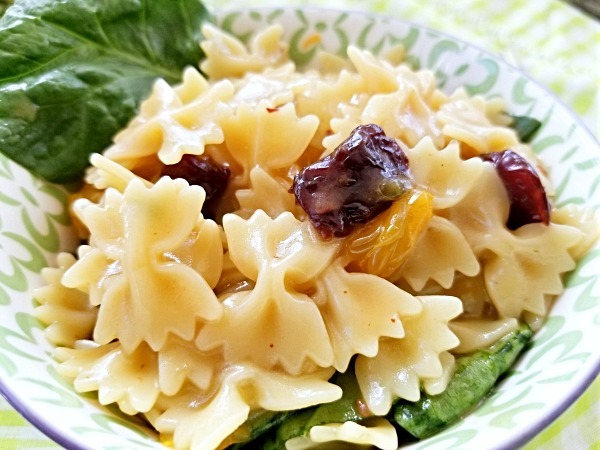 Even a cold pasta salad like this one. 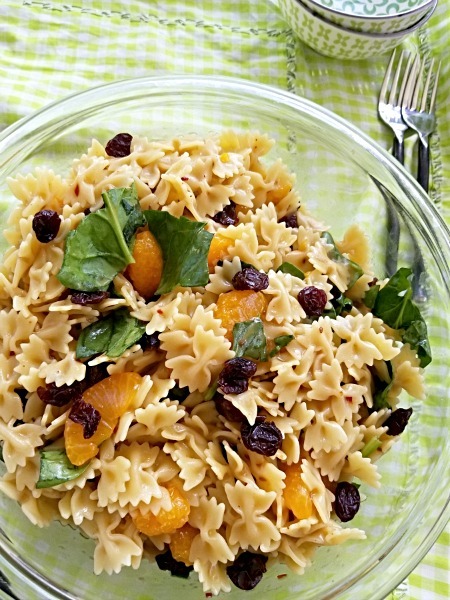 The best part is aside from being so easy-peasy, it tastes full of flavor and is delicious. We like it as a side dish but, I do add some chicken, shrimp or even tofu in for a main dish meal. 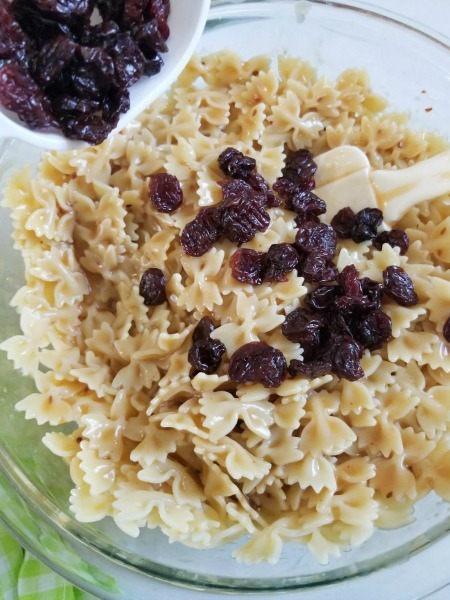 You’ll love that it’s great to bring for picnics and barbecues as well as any potluck dinner. Check out my shortcut recipe. 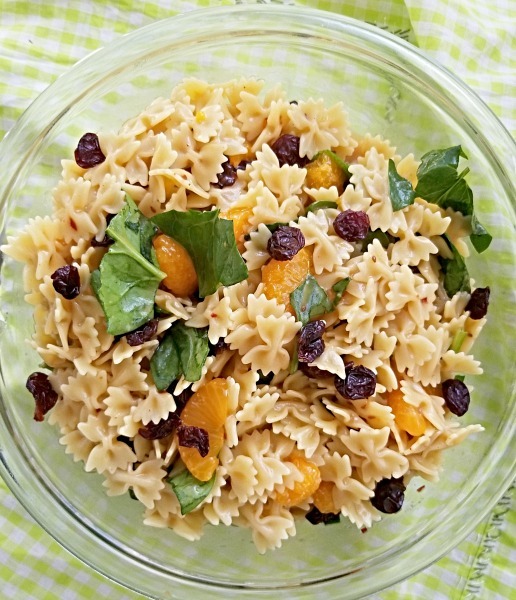 Add in some of your favorite veggies or nuts for a different pasta salad each time. 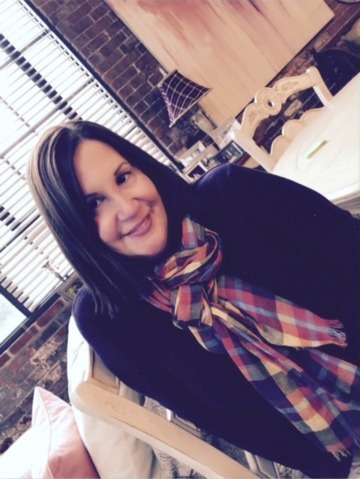 We love it just as is, but it’s nice to change up every now and again.
. Drain and rinse just a little in cold water, drain well. 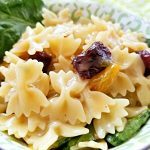 In a large mixing bowl, combine pasta and bottle of dressing..
Add cherries and mix in gently, try not to break up the pasta. Add mandarins and again, mix gently. Toss in chopped spinach either on top or gently mix in. For any additional ingredients, do the same as above and mix in gently. Refrigerate for at least 1 hour. Place on serving platter or bowl. Dig in! 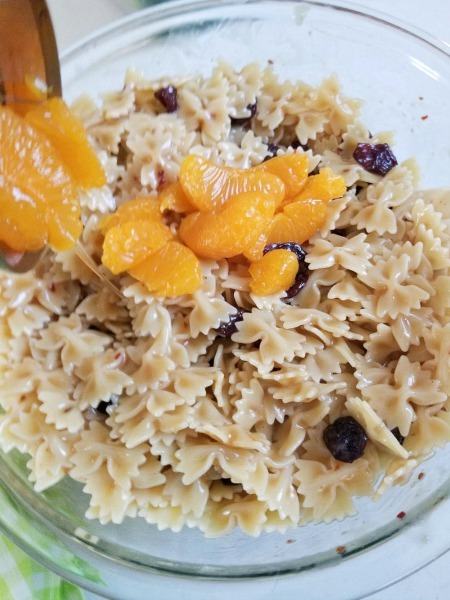 For a quick and easy Asian pasta salad that everyone is sure to adore, stop right here and check this one out. Tastes so delicious and perfect for any occasion. Enjoy! 2.. Drain and rinse just a little in cold water, drain well. 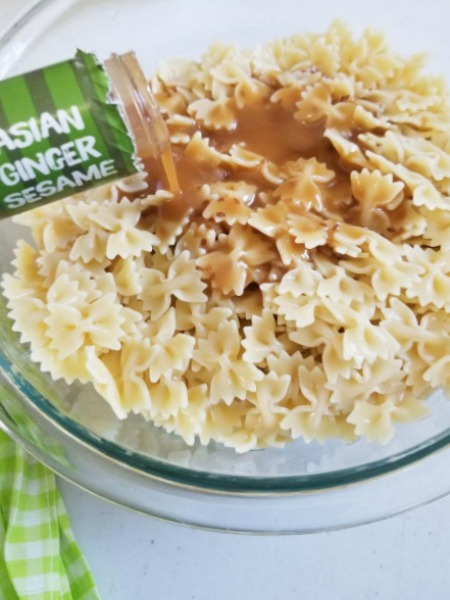 3.In a large mixing bowl, combine pasta and bottle of dressing..
4. 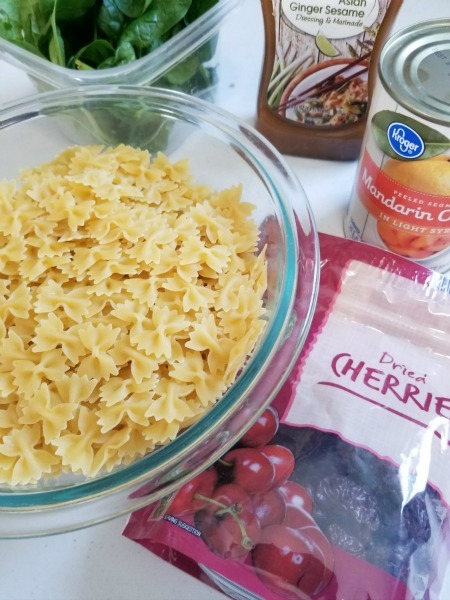 Add cherries and mix in gently, try not to break up the pasta. 5.Add mandarins and again, mix gently. 6.Toss in chopped spinach either on top or gently mix in. 7.For any additional ingredients, do the same as above and mix in gently. 8.Refrigerate for at least 1 hour. Place on serving platter or bowl. Dig in and enjoy!